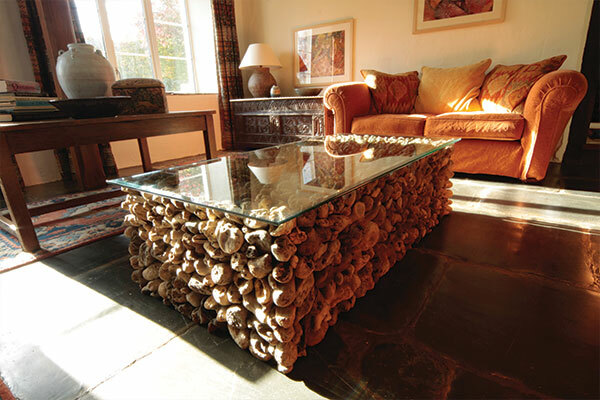 Our range of iconic driftwood tables is one of our most popular collections. The base of each table is created out of reclaimed driftwood – each piece is carefully nailed together until the signature organic shape is realised. 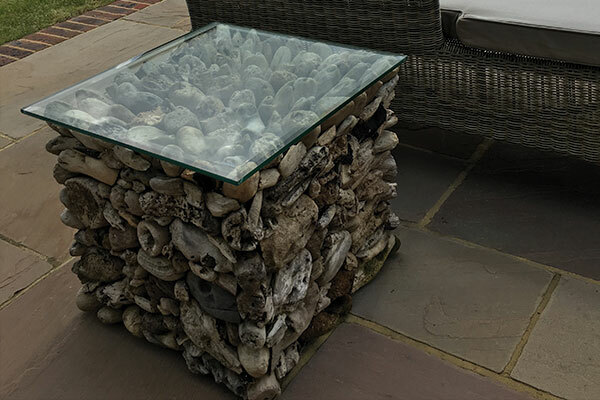 The base is then topped with a high quality piece of toughened glass. 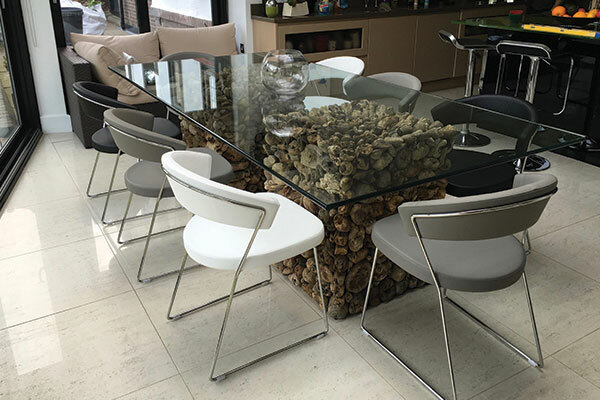 We have been designing driftwood tables for around 10 years, over which time we have refined the process to ensure that the end product is of the highest quality and will last for years to come. Our range includes coffee tables and dining tables of varying shapes and sizes. The standard designs are detailed below, however, we always welcome commissions for bespoke, one-off pieces – please get in touch for more information. 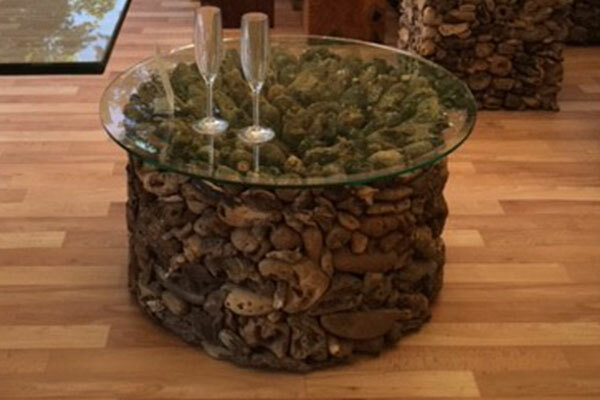 The Falmouth Driftwood Table is the largest table in the range. 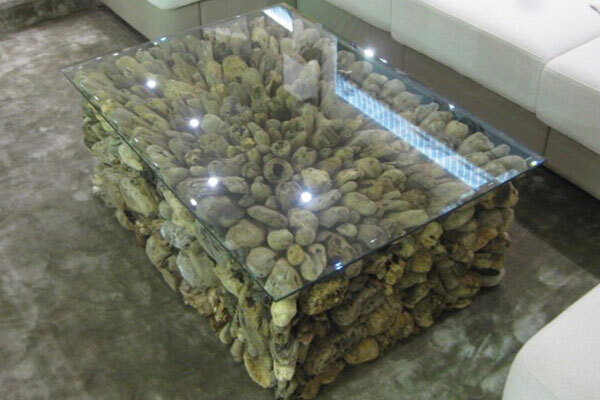 Made out of natural reclaimed driftwood, this innovative table will act as a stunning statement piece in your dining room or lounge. The Padstow Driftwood Coffee Table is a rectangular coffee table which fits perfectly in front an L shaped sofa. The Padstow is perfect for bringing a theme of nautical sophistication into your home. 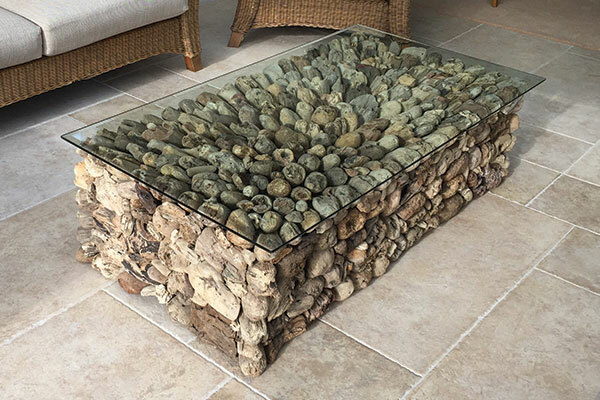 The Salcombe Driftwood Coffee Table is under a meter square in size and so is a practical addition to any room. 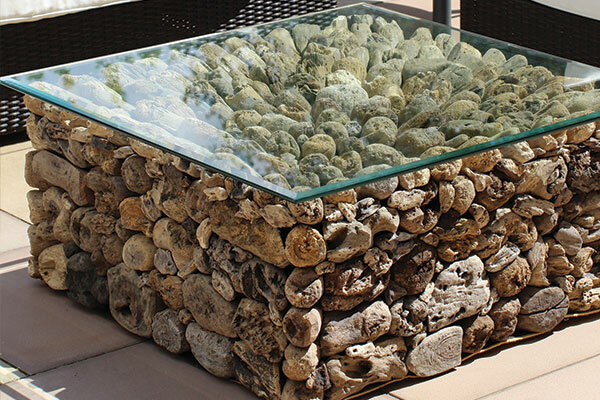 The fascinating textures and structure of the driftwood base is guaranteed to catch the eye. The Dartmouth Driftwood Table is the first round table in the collection and has a slightly softer feel than the square and rectangular ones. 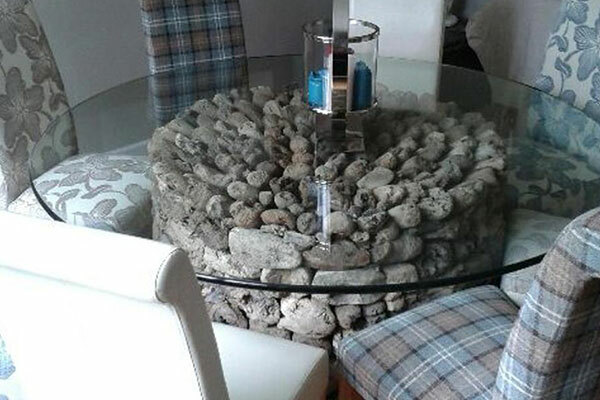 The round table brings a soft, nautical theme to your interior. The smallest table in the range, The Croyde Driftwood Table, is a functional yet sophisticated and stylish addition to your living room or dining room. Use several throughout the room for added effect. 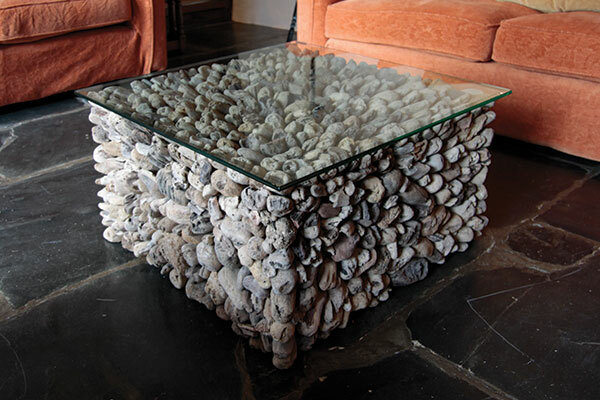 The St. Ives Driftwood Coffee Table is one of two rectangular tables in the range (the other being the Padstow). The St. Ives is smaller than the Padstow but is equally as stylish. 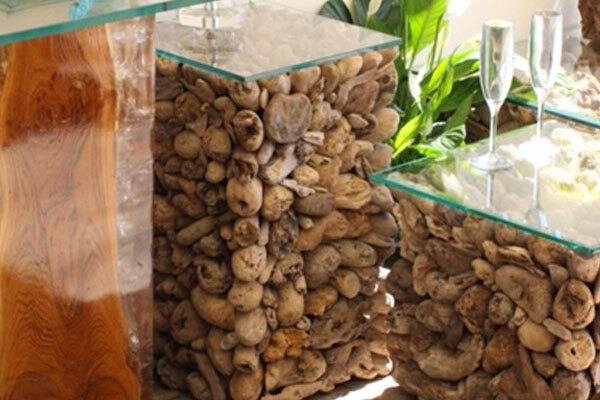 The Woolacombe Driftwood is the narrowest table in the range and idea for placing drinks at for sofa height use or as in the photo for a side light .. creating continuity to another tables in the range. Our striking collection of driftwood mirrors will demand attention and bring a theme of nautical serenity into your home. Each mirror frame is made using individual pieces of reclaimed driftwood which are nailed one by one until the unique shape of the mirror frame is developed. 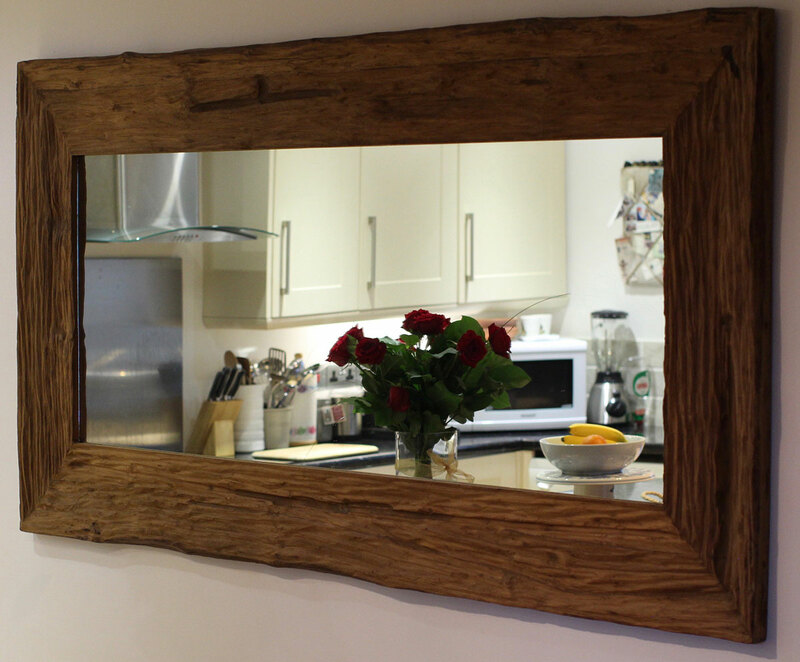 The beautifully rustic frame is then mounted on a high quality piece of mirror glass to give the final product. The mirrors can be used in any room around the home – either to fill a wall and create a focal point, or as a practical feature in a bedroom or bathroom. The worn driftwood pieces have a multitude of natural textures and colours which look different in all lights. Each mirror is a one-off and you won’t find another piece like it - it is this exclusivity of design that our discerning customers enjoy. Pre-made designs are available to be purchased, however commissions for bespoke shapes and sizes are always welcome – please get in touch for more information.